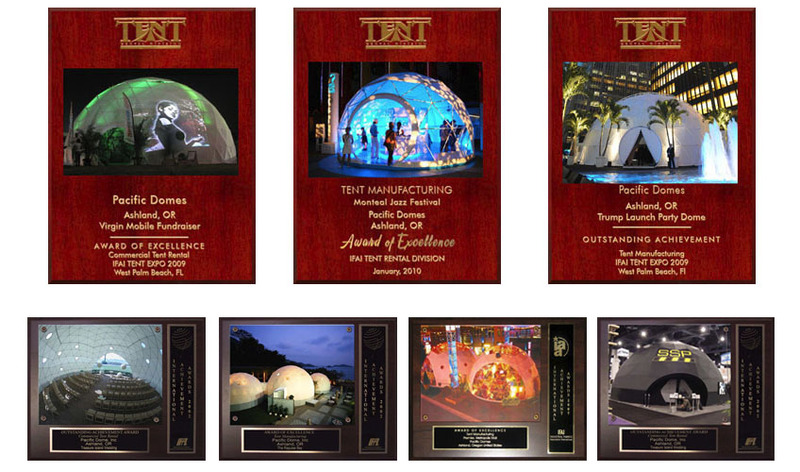 Multi-award winning Pacific Domes, Inc. is the original manufacturer of geodesic domes worldwide. We are a growing family-operated business dedicated to conscientious, energy-efficient living. 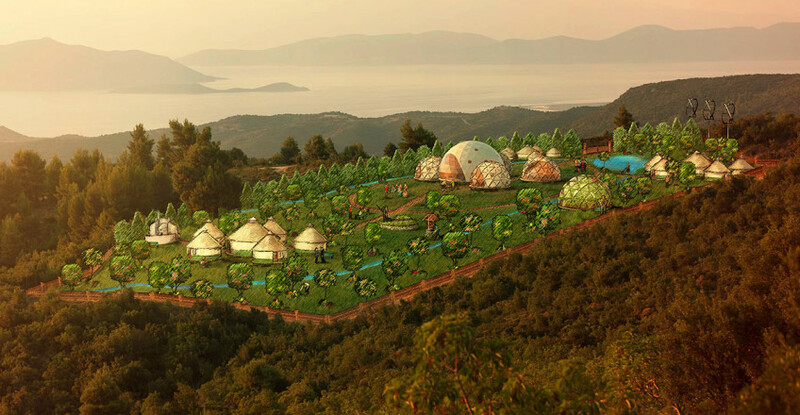 Our creative team builds domes that may be used as: eco-friendly living spaces, emergency relief shelters, greenhouses, entertainment amphitheaters, educational centers, and so much more. 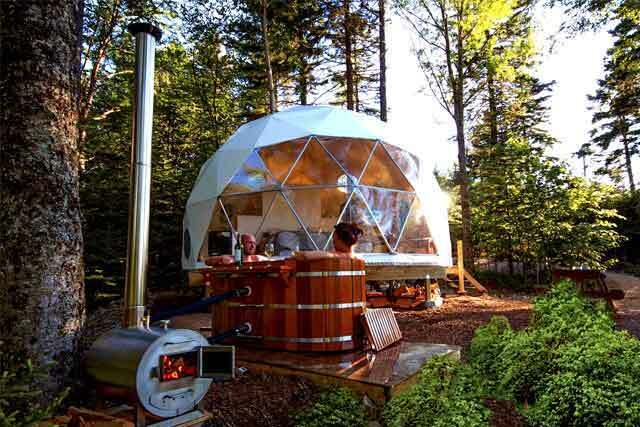 Expanding on the architectural concepts of the mid-century philosopher, Buckminster Fuller, Pacific Domes has been a pioneer of the eco-living revolution for over 35 years. On a small organic garden in 1979, Asha Deliverance created her first geodesic dome on an old Singer sewing machine. Having studied the work of Buckminster Fuller and ancient Vedic philosophers, Asha dedicated herself to the creation of a more sustainable future. Deliverance continued to master the art of dome-building for several years during her time as a midwife and mother. People fell in love with her dome models and her passion for the work. 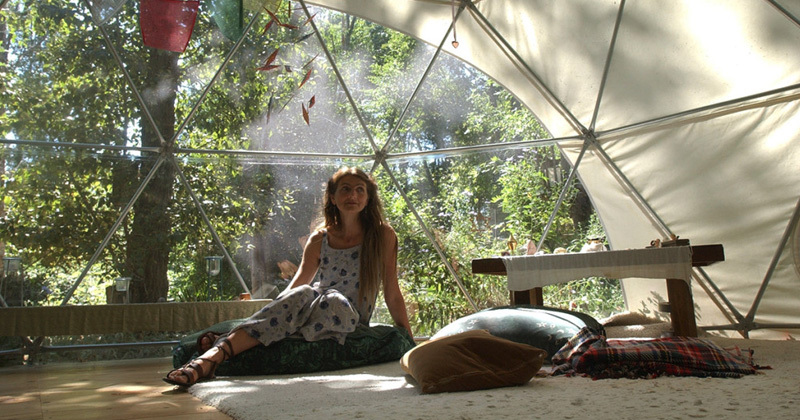 In the 1980s, Asha and her family opened a business to support the growing demand for geodesic domes worldwide. Since then, Pacific Domes has surrounded itself with creative, cutting edge thinkers who, in collaboration with Asha herself, have pioneered a brighter future filled with alternatives in technology, shelter, and design. At Pacific Domes, we inspire the world to live simply, sustainably, and peacefully. Our domes model harmonious coexistence with the earth and ourselves. We work with top thinkers around the globe to promote sustainable solutions and climate-change education with our Planetarium and Projection dome partners. We provide relief domes in times of natural disaster. We make children smile with simple playground domes. We bring everyone under the same roof at gatherings, festivals, and events. We are here to support humanity, and to do so in a way that is kind to our fragile planet. We are honored to have been recognized multiple times by the IFAI. We have won awards for excellence in Tent Manufacturing, Party Tent Rental, and Commercial Tent Rental. From an elegant wedding dome on Treasure Island to a spectacular complex of event domes on the man-made islands of Dubai, Pacific Domes has been delivering architectural wonder to fortune 500 companies, event planners and EcoLiving clients for the last 30 years. Clients include NASA, Sony, Google, CBS, Pepsi, NBA, AOL, AT&T, Coca-Cola, Geico and more. For our complete client list, click here. At Pacific Domes we’re striving to create a better world. Working at Pacific Domes is more than just a job, it’s a working community. We’re always looking for the best and brightest as Pacific Domes expands to embrace the world with our dome products. Pacific Domes does not accept phone calls or drop-ins as a means of applying for a position.